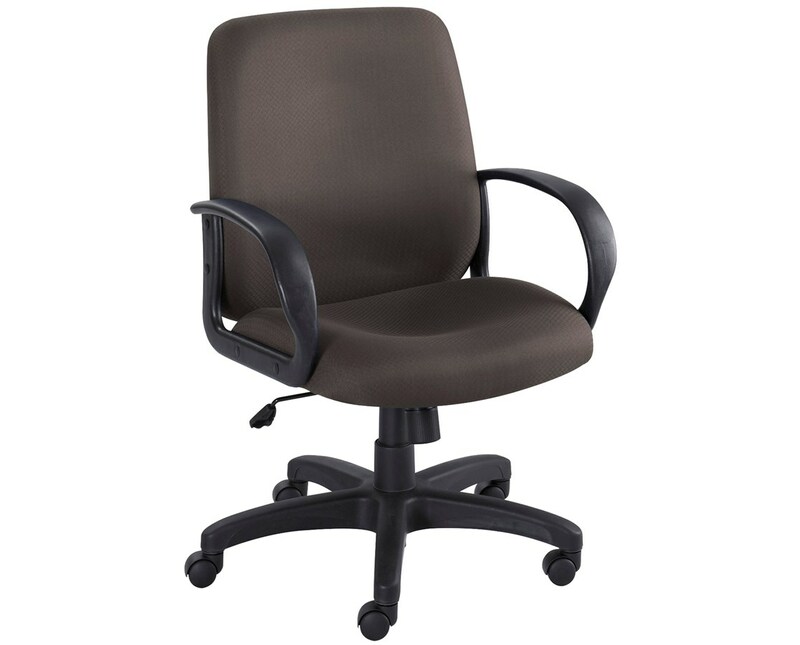 The Safco Poise Executive Seating is a sturdy office chair designed for executive uses. It features integrated loop armrests and deep contours on the four-inch thick padded seat and back to provide maximum comfort. 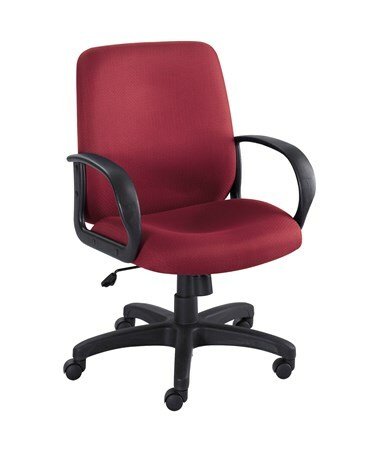 This chair has a weight capacity of 250 pounds and its 26-inches diameter base includes two-inch dual wheel hooded carpet casters for smooth mobility. It also features an ergo adjustment knob and multiple adjustment options like seat height, back tilt angle, and the swiveling of the seat to a full 360 degrees. 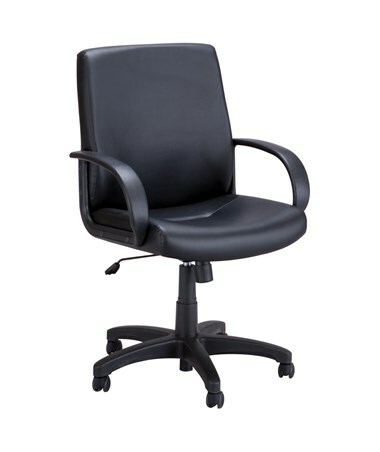 This executive chair is made of nylon with a hundred percent polyester or vinyl upholstery. It meets ANSI/BIFMA industry safety standards and is GREENGUARD certified for low chemical emissions. The Safco Poise Executive Seating is available in different back size and color. Please select your preference from the drop-down menus above.